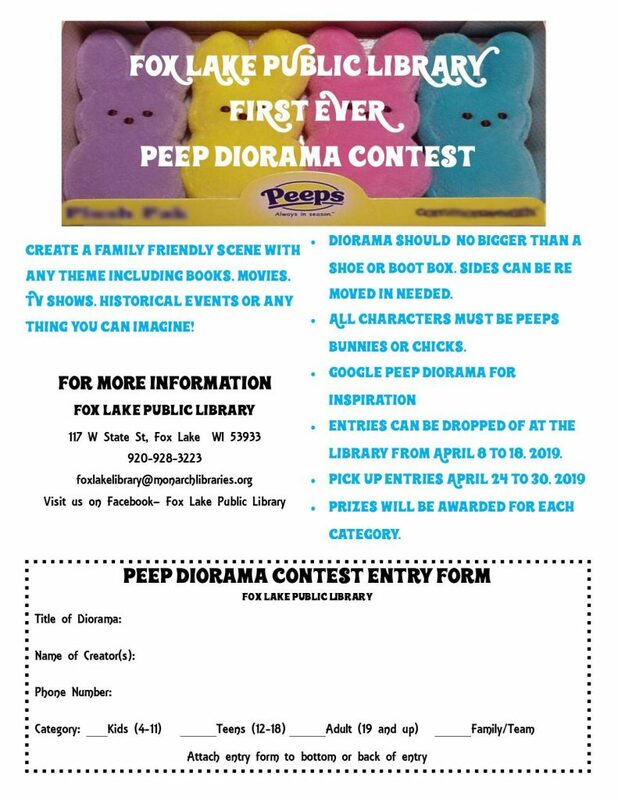 Join the fun with the First Ever Peep Diorama Contest at the Library. Special work day will be March 27 from 1-4 pm at the Library. Bring in a box and an idea. The Library will have some craft supplies available. This entry was posted in Uncategorized on March 24, 2019 by Erin Anders.